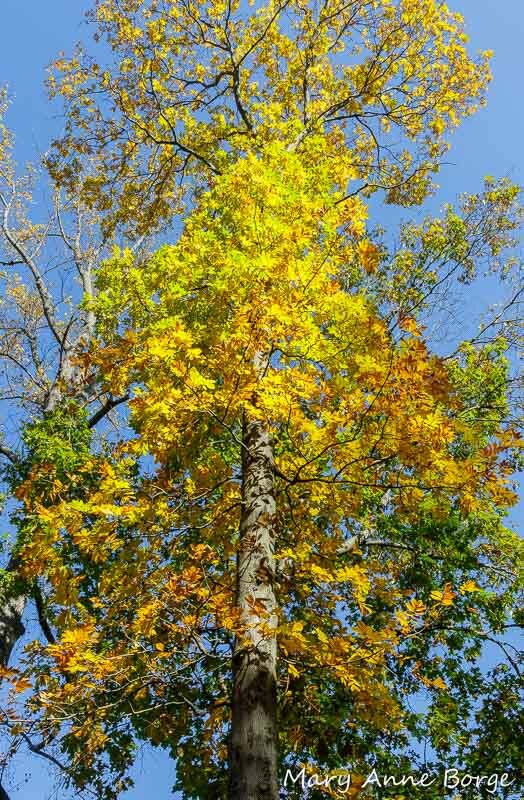 This entry was posted in Birds, Butterflies, Gardening for Wildlife, Native Plants, Nature, Other Animals, Other Insects and Spiders and tagged Bitternut Hickory, Carya, Carya cordiformis, Carya ovata, Carya tomentosa, Hickory, Mocernut Hickory, Shagbark Hickory by Mary Anne Borge. Bookmark the permalink. Hi Mary Anne, I am overwhelmed by the leaves and their shadows on the hickory trees. The photos of the other creatures are a real treat, too!!! The pictures of bark are my muse to pick up a paintbrush. What a gift is this post!!! Thank you so much! I would love to see your paintings of the bark! I could feel your love with this fantastic tree! “Up to 200 species of butterflies”, that’s a lot! Beautiful pictures that show the wide range of the tree. It grows also in Germany. Great post! Thank you! Just to clarify, of the 200 species of butterflies and moths, many more are moths, but they are also beautiful and an important part of the food web. Moths just need better press agents! The one that grows close to where I live, especially on slopes above wetlands is Pignut Hickory and it hosts my favorite Luna Moths. I don’t know a lot about hickories, never even thought to plant one in my yard but I did bring back some of the nuts and placed them by the bird feeder with some hazelnuts I grew. Just wanted to see what the squirrels and the chipmunks preferred. They took the hickory nuts right away before the hazel nuts. Thought that was interesting. Very interesting! Great idea to offer a buffet like that to observe the results. The depth, breadth, and scope of your article and photographs are compelling and inspirational. You are a treasure. Thank you!! It’s because the subject, nature, is compelling and inspirational. I love to share what I see. Fabulous post! I’ll be back to read over it again and then I’ll be able to take more time to dwell on the beautiful photos. The flora and fauna is so different to here in New Zealand. You offer a wonderful insight into your environment and I really appreciate you putting it together. The Mockernut Hickory has an amazing trunk pattern! I love the Mockernut Hickory bark, it’s quite sensuous, really. It’s amazing the beauty that is all around us if we just open ourselves to it. Thanks for the invitation! Let me check your link and get back to you. Feel free to contact me at info@the-natural-web.org. Wonderful range of photos in your neck of the woods. Your creepie crawlies are quite engaging too. Love this article! Hickories are always my favorites in autumn! !